Creative Harvest incorporated WordPress’s font, official colors and W logo to create this custom look for WordPressPhx 2013. 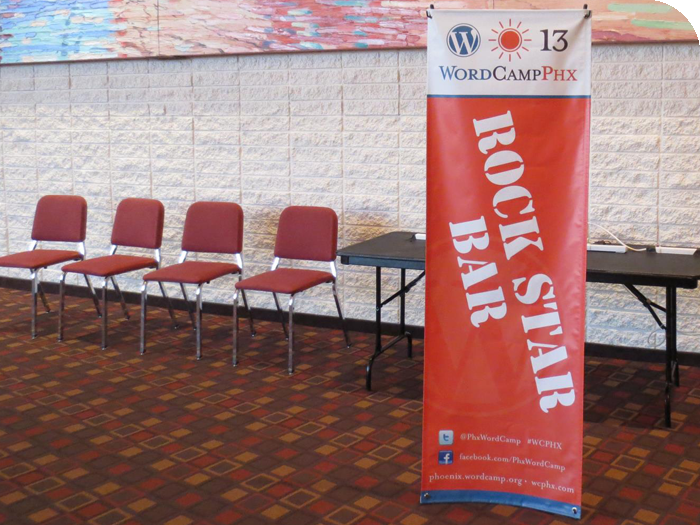 An example of the various vertical banners for learning tracks such as Jumpstart, as well as the Rock Star Bar, where WordPress experts were available to answer WordCamp attendees’ burning WordPress questions. This 2013 event was held at the Chandler Center for the Arts in downtown Chandler.